I heard lots of reviews, gossips and stories about where’s the best KFC outlet in Klang Valley. Some say in Bukit Bintang, others said definitely in Jalan TAR coz that’s the first KFC in Malaysia (is it?). 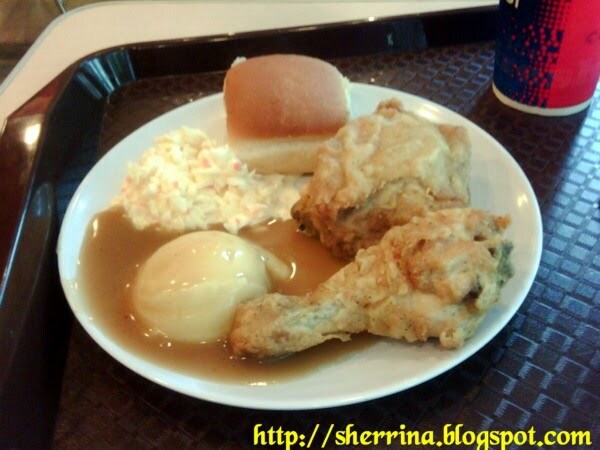 A dear friend of mine told me it’s in the headquaters of KFC Malaysia itself in Jalan Sultan Ismail. Urghhh….I hate that area during office hour. But luckily it’s the Hari Raya week. Since I’m celebrating it in KL, so I decided to visit the outlet on the 3rd day of Hari Raya. As I expected, the road is still clear. The HQ is located on Jalan Sultan Ismail. Indoor parking space available. You have to drive your car into the elevated parking system. Some how it won’t move to the 4th floor which is the parking area for visitors until I read the signboard asking to switch off the engine. The parking area on the 4th floor is seriously small. I think only bout 30 cars can park there. Probably less. Lucky me since it’s 3rd day of Hary Raya, the place is deserted. So I parked the car, walk down to ground floor using the elevator and you can smell the fried chicken smell the moment you step out from the elevator. Not many people inside the restaurant, it was about 3pm. I ordered a snack plate, Original recipe with Mountain Dew drink and Cheezy Wedges. The weird part is I’m able to change from regular size drink to large size with no question asked. I’ve never been able to do that at KFC in Wangsa Maju area. But here, you can change it. The service quite fast, probably because there were only 3-4 customers dining in the restaurant. The first thing that captured my attention is the over-flowing amount of gravy. I always asked for extra gravy and I’ll get probably a teaspoon extra. But here, it’s like a flood of gravy. Secondly, the butter bun. I wished they go back to the old style where the butter bun is still warm the moment it lay on your plate. Now, they just keep the buns in a tupperware and it’s cold. Here in the HQ, same ol’ same ol’ but the bun is much more softer and not as dry as the usual ones. Dip it in the river of gravy…..it sure melt in your mouth. The most important test is the fried chicken. Well-fried. Not too overdo. The flesh is nicely cooked to the bones. Not too dry, I hate it if the flesh is dried. I think taste not much different than any other outlet. The one that caught my attention besides the butter bun is the coleslaw. I think the quality of their coleslaw has dropped a lot compared to 10 years ago. Now it’s too dry, lack of mayo and sometimes the vege taste bitter. But here, the coleslaw is very nice. Just how I like it. I could order extra coleslaw but I was too full. 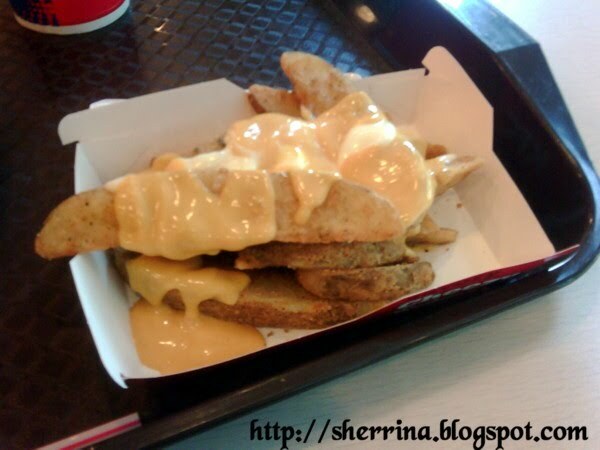 Lastly, the Cheezy Wedges. Not much different than the usual ones except that in here they are easy on the cheese and mayo. You don’t have to ask for extra sauce. Good quality cheezy wedges. dah la aku pose harini..